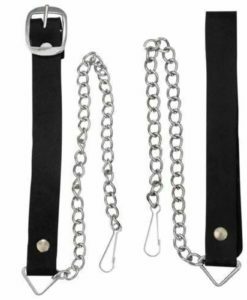 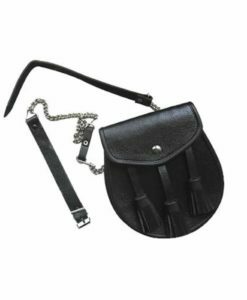 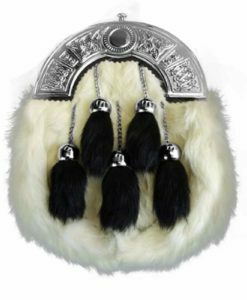 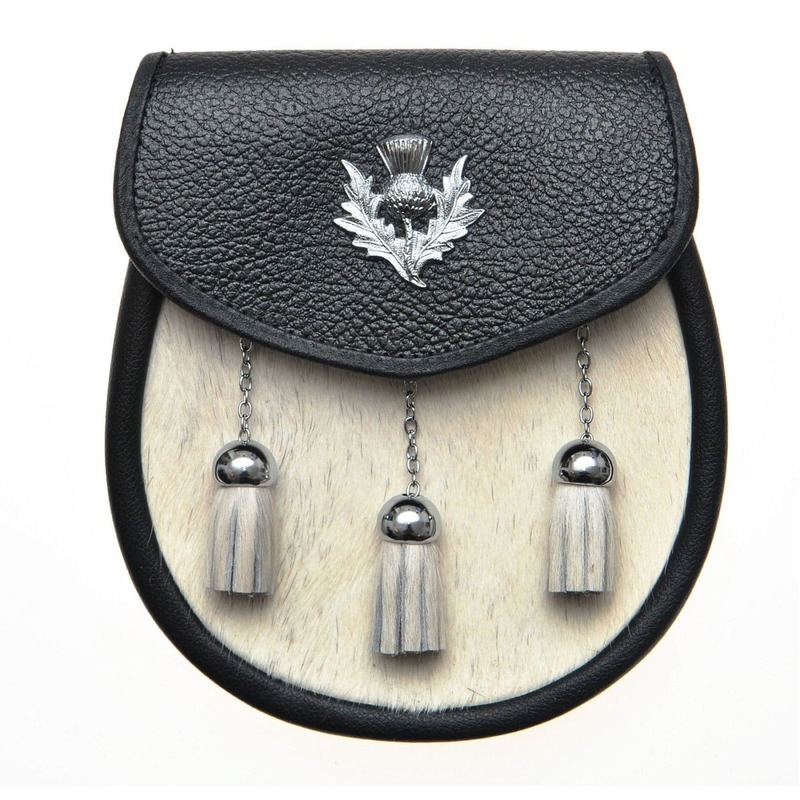 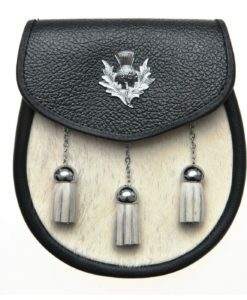 White Bovine Cow Hide 3 Tassel Leather Sporran and Belt is manufactured using 100% cow hide leather.The stylish chrome buckle is used on the flap of the Sporran. 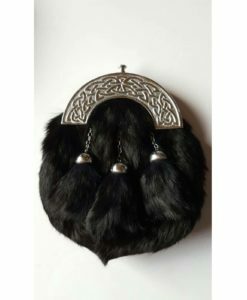 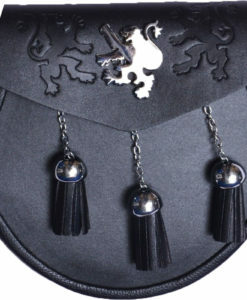 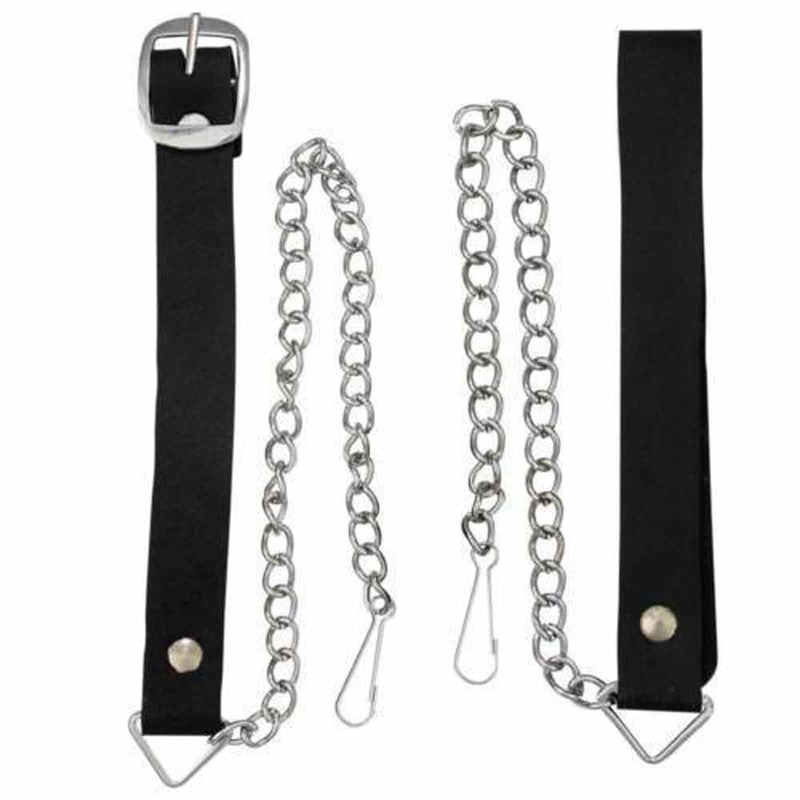 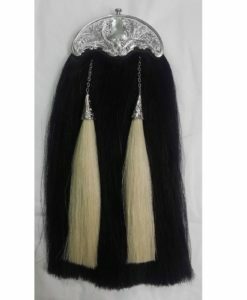 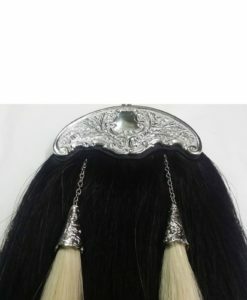 There are three tassel chained following with chrome hooks. 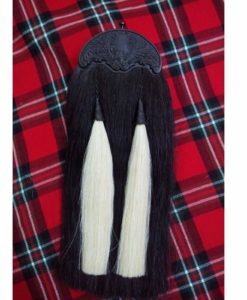 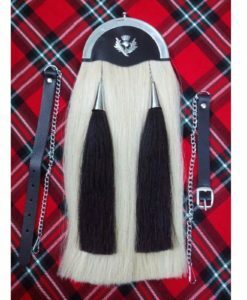 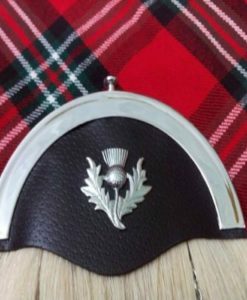 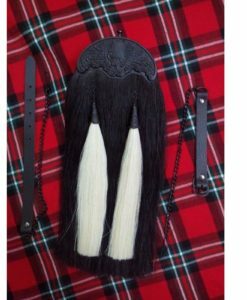 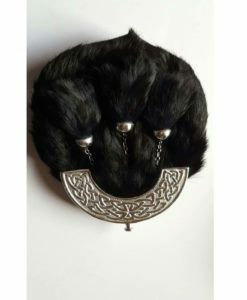 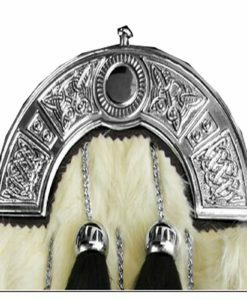 The front of the sporran has Goat (as customer’s choice) fur which adds to the beauty of this amazing kilt. 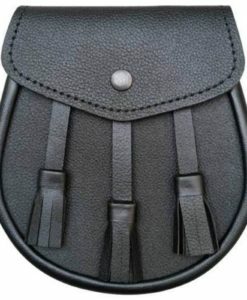 The flap and outline is made up of pure leather.